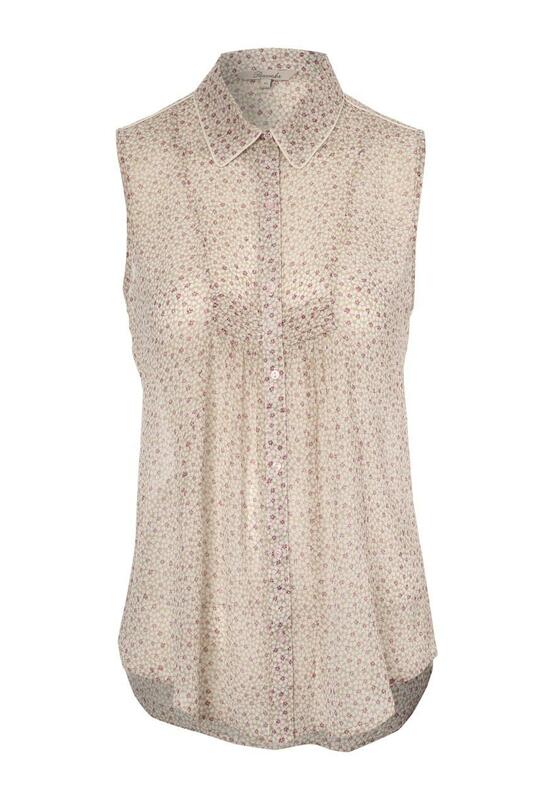 This women's printed sleeveless blouse is perfect for any occasion. It features a button up front,a collar, ruching around the middle and a delicate floral pattern. Team with a pair of tailored trousers for the office, or opt to wear with jeans and heels for a chic evening look.